To strengthen the health of Arizona’s youth, families and senior citizens, Tucson Electric Power awarded more than $100,000 in Grants That Make a Difference to 18 nonprofits in a ceremony at the utility’s Tucson headquarters on Tuesday. TEP dedicated its assistance to vulnerable groups in two distinct regions: Tucson itself and communities in the state’s eastern portion near the company’s Springerville Generating Station. "Grants That Make a Difference improve the quality of life in our communities by supporting nonprofit groups that provide crucial services to those who need help most," TEP President and CEO David G. Hutchens said. "These grants will help create enrichment activities for at-risk children, provide assistance to seniors and help families to escape poverty." 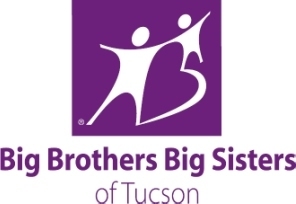 Recipients included the Salvation Army, Big Brothers/Sisters of Tucson and YWCA; a zoo outreach program; arts, music, educational and STEM initiatives; health care, therapeutic riding and other programs for at-risk children, as well as community outreach projects to help victims of crisis, poverty or abuse. TEP stakeholders and volunteer employees select grant recipients based on their programs’ effectiveness, sustainability, fiscal soundness and other standards. Many of the agencies use their grants to match funds when seeking further resources. The Grants That Make a Difference aligns with TEP’s community service credo, which encompasses philanthropy and in-kind services. TEP’s sister company, UniSource Energy Services, operates a similar program. Want to get notified whenever we write about Tucson Electric Power ? Sign-up Next time we write about Tucson Electric Power, we'll email you a link to the story. You may edit your settings or unsubscribe at any time.